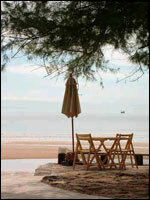 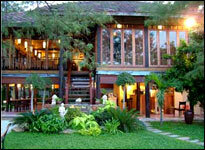 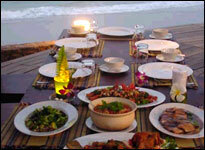 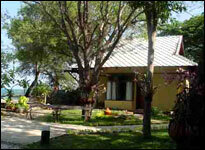 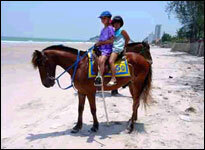 The Talay Dao is a beachfront resort located in Khao Takiab on the southen end of Hua Hin Bay. 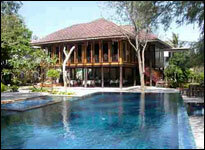 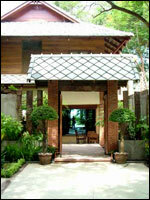 The resort is newly built around an authentic Thai 90 year old Teak Wood house on stilts which now houses the club house. 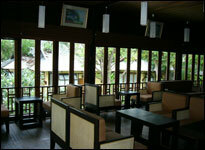 Our rustic hideaway is the perfect place to escape the hustle and bustle of the city. 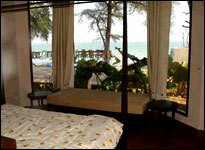 With 32 rooms and a direct access to the beach, we have everything to ensure the perfect holiday. 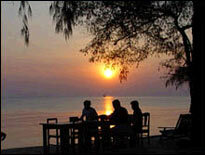 Our resort facilities include a club house and library, a small infinity pool with Jacuzzi on the beach front, open air sea-side restaurant, and Thai traditional massage. 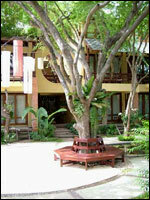 - Breakfast charged at Baht 200 extra per day. 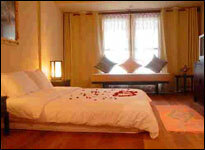 Our regular rooms are housed in two blocks each with it’s own private balcony, and are furnished in an excellent fashion mixing traditional Thai products with modern comfort. 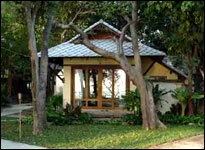 The Pavilion Villas are all sea view and have a private balcony with lotus ponds around them. 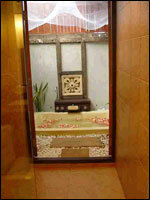 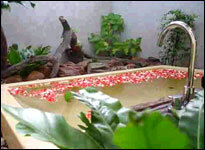 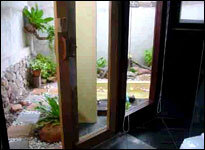 A special feature of the villas is the out door natural baths in a small private and enclosed garden. 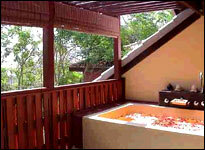 Perfect for your honeymoon or romantic holiday. 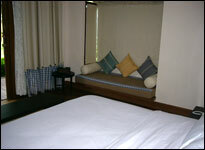 Our prized Pavilion and Deluxe Two bedroom suites are exceptionally good and are excellent for a family of four. 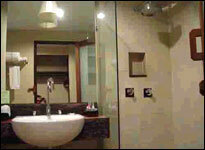 With two bedrooms and two bathrooms, comfort is a plenty. 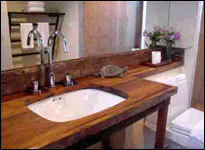 We use natural materials to harmonize our guest rooms. 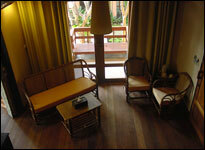 Teak and Redwood add beauty and sophistication to our resort. 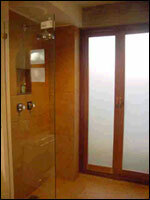 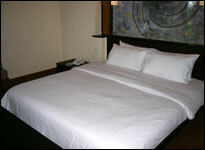 All our spacious rooms have modern bathrooms and are beautifully furnished. 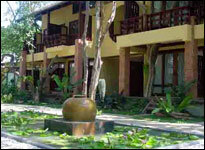 Our focus is on guest comfort while at the same time maintaining the natural beauty of the surroundings.